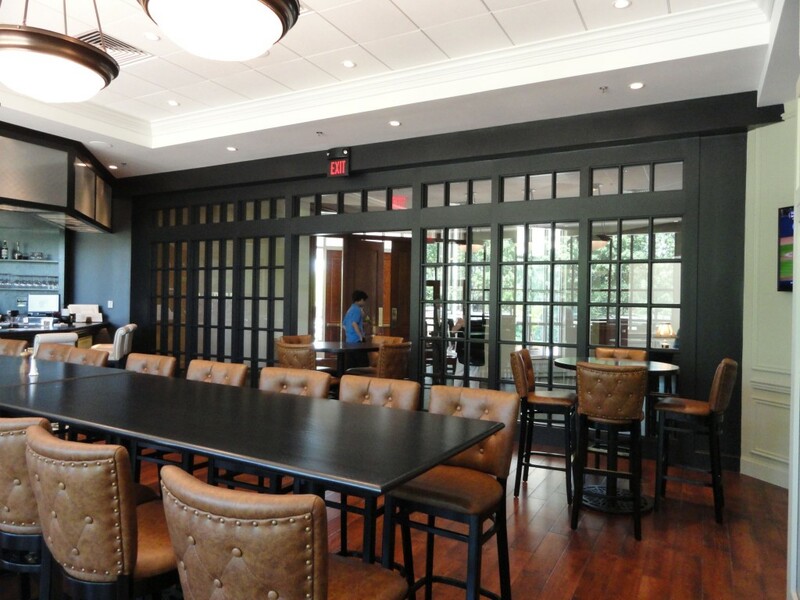 Renovation of existing space, Including bar and borrowed light wall. 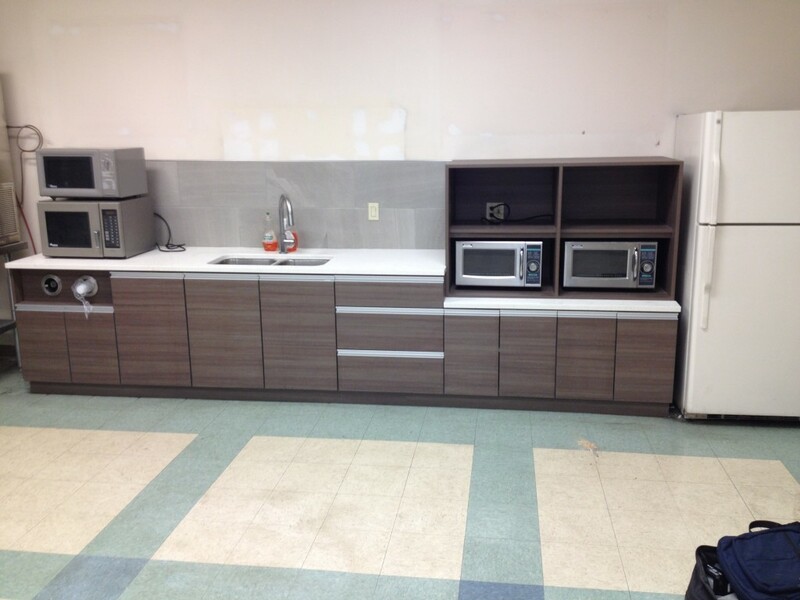 New employee break room out of plastic laminate. 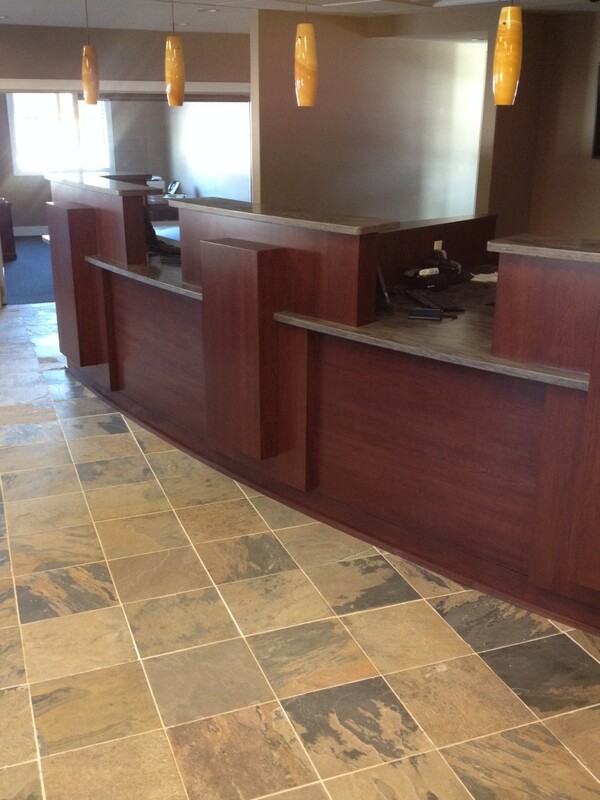 Radius teller line and check writing station.